We strive to produce quality gun dogs that are a pleasure to hunt over and a joy to own. Big Country Kennels can offer you the total package with our 25 years of experience, knowledge and access to wild birds, the end result - an excellent dog you can be proud of. We have excellent boarding facilities for your hunting dog or pet - for a day or year round. New top of the line facilities, around the clock supervision, flexible pickup and drop off times, and of course personal attention for each and every dog from our family. Some of the best quail hunting in Texas can be experienced right here in Albany! Contact us for your guided hunts. Big Country Kennel offers a variety of programs to meet your needs. We train all pointing breeds. 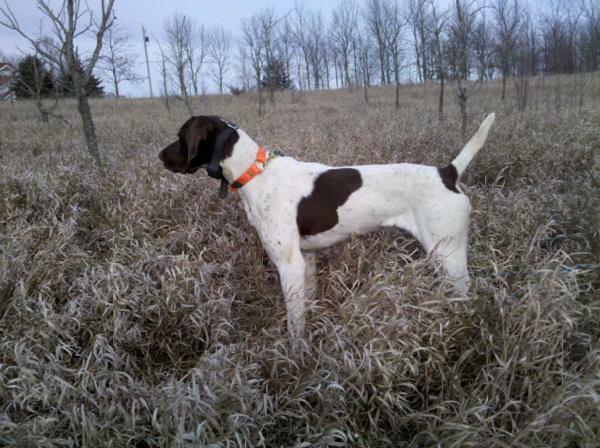 We occasionally have English Pointer and German Shorthair puppies, started and finished dogs for sale. Please contact us so that we can help you find the perfect gundog you have been searching for. We located our kennel in Albany, Texas because of the abundance of wild quail in this area. Shackelford County has always had the reputation of being one of the best quail hunting areas in the state of Texas. Let the experienced professional trainers at Big Country Kennel develop your gundog on our 6000 acres+ training area with an abundance of wild quail. Come hunt one of the best Quail Hunting areas in Texas'. Because of the abundance of wild quail in this area. Shackelford County has always had the reputation of being one of the best quail hunting areas in the state of Texas. Our knowledge and access to wild birds, combined with our training, result in an excellent dog you can be proud of.